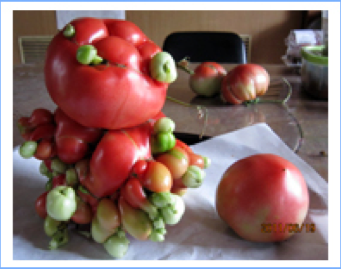 Vegetable mutation: sample taken in June, Saitama. This is horrible. (7/13/2011) Harvested in June, Saitama. I suppose it’s a tomato.